Minister Lee Tindall was born in Brooklyn, New York. At age 16 his family left Brooklyn, New York and moved to Chemung, New York where he graduated from Spencer Van Etten High School. Years later, Tindall moved to Elmira, NY. He married his High School Sweetheart, Robbin, in 1976 and to this union was born two daughters and a son. He has a granddaughter, who is known to all as, “His Precious”. After high school, Tindall began working at Hardinge, Inc. in Elmira. He has enjoyed a 37+ year career there and is looking forward to retiring in the near future. At the age of 22, Tindall accepted Jesus as his personal Savior. He always felt led to serve in any capacity in the ministry. In witness to his servant’s heart, as a member of All Saints Home Church of God in Christ, he served on the Deacon Board, he was an usher, a Sunday School teacher and the Sunday School Superintendent. He also served faithfully and effectively on a variety of other church auxiliaries. For Tindall, he is most fulfilled in ministry when he is serving others. Prompted by God’s leading, Tindall and his wife joined Faith to Face Ministries in 2007. 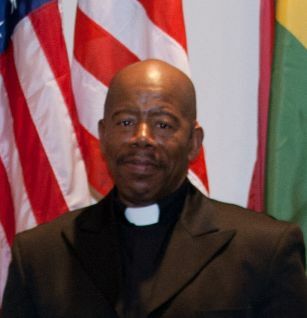 In 2008, having confidently acknowledged the call of God upon his life, he was licensed as a Minister of the Gospel under the pastorate of Bishop Dr. Mark D. Vaughn. He has been faithfully and actively involved in the ministry. Minister Lee, as he is affectionately known, currently serves on the youth ministry team. He also serves as an Usher and is Co-Director of the Hospitality and Helps team and is a member of the Intercessors Team. Put simply, Minister Lee Tindall loves to serve God and loves the work of the ministry. He believes God has given him a heart to help people in any way he can. His favorite scripture is Isaiah 1:18a, “Come now let us reason together, saith the Lord”. Minister Tindall firmly believes that God wants to forgive us for all of our guilty stains if we are willing to obey him.